C#—it’s not just a musical note. First introduced in 2000 alongside Microsoft’s .Net framework, it’s been through five versions and one (now-retired) mascot named Andy. Now, it’s arguably one of the most valuable programming languages to learn—and here’s why. C# could get you a job. 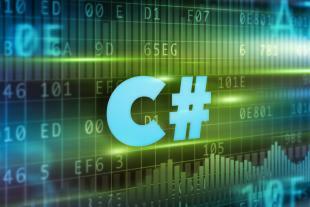 The growth of C# was spurred by the release of Windows 8. C# is currently the most used language in the development of third-party apps for Windows. It also is a very popular language on mobile devices, including the Windows Phone. Because of all these factors, companies are looking for C# savvy programmers. And the pay isn’t bad, either; according to SimplyHired.com, even entry level C# developers make an average of $53,000 a year. This is fairly comparable to the wages from other, similar languages. Sure, some of the words are different, but the structure is fundamentally the same. The difference between Java and C# are less the differences between two different languages and more like the differences between two dialects of English. An American ordering chips might get french fries in England, but they still understand the basic structure of the language being spoken. The less programming-savvy among us might be surprised to hear any programming language described as “simple.” But even if a “Public Class” simply sounds like a nice event to attend on a Saturday, C# might be a good place for you to start learning programming languages. The fact that it’s easy for people who know C, C++, and Java to learn C sharp also works the other way around—it’s easy for people who know C# to learn these languages as well. If this set of features sound ideal for your programming style, perhaps it is worth learning C# programming. There are tons of great C# resources, including instructional websites, videos, books, and manuals. In the free department, there is a list of eight free e-books available on Readwrite.com, although some of them are dated. Of course, one of the problems with free resources is that they often aren’t of as high quality as paid ones. If you’re a professional who wants to learn C# in a short time, the best place to learn C# depends on your preferred learning mode. If you already know a lot about programming, a book like C# for Programmers or C# in Depth might be ideal. If you’re looking for learning c sharp programming for beginners, take a peek at something like C# 5.0 in a Nutshell. And if online courses are more your speed, over at OpenSesame we have many C# tutorials available. In closing, why not? There’s no good reason not to learn C#, particularly if you already know programming languages like C, C++, or Java. Your investment is simply the cost and time of a course or book. The return on this investment is the knowledge of a highly useful, highly marketable programming language. This could play a crucial role in anything from getting you a job to helping you to develop an application for the Windows Phone to simply adding another skill to your resume.